It was no secret that Blizzard will take the opportunity to announce the next hero for Overwatch at Blizzcon 2017. 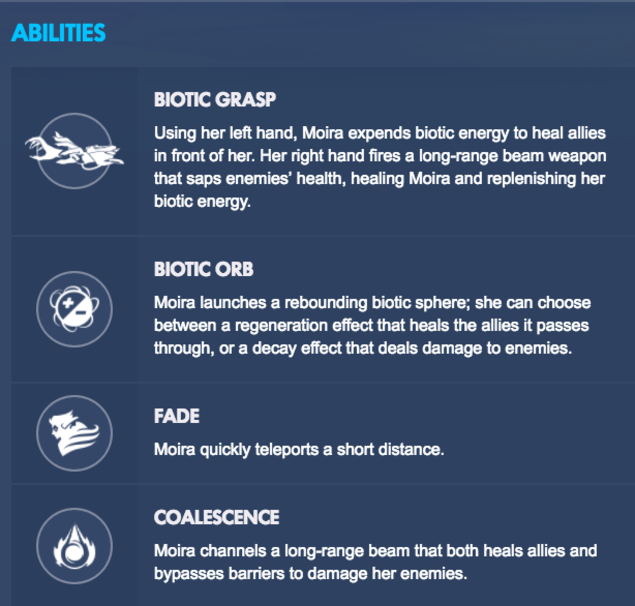 Moira will be next hero and she is placed in the support role. She's a biotic healer that has the ability to either heal or sap life from enemy heroes with the ability to teleport at a short distance. Her ultimate is a bit crazy - a long beam that can heal allies enough and damage enemies caught in it. Based on the video above, it seems the healing output is enough to negate the damage of other classes ultimate. Moira is the fifth character to be included in Overwatch after launch. The last hero, Doomfist, was released back in July. Just like other releases, Moira will hit Blizzard's Public Test Realms for testing before it goes live for all players. No release date was given as to when she will be available but it's safe to say those in Blizzcon gets first dibs on the new hero.